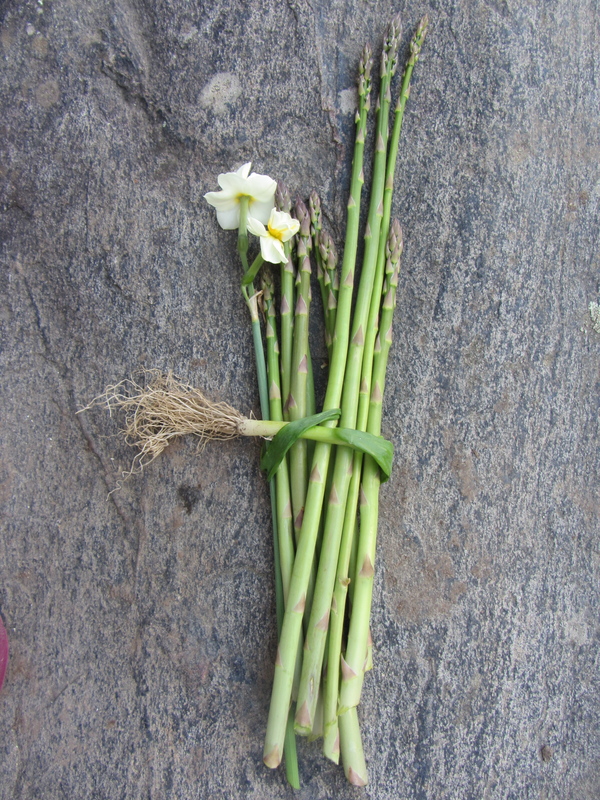 This was my Mother’s Day bouquet: asparagus tied with a scallion, decorated with a daffodil, all from my garden. 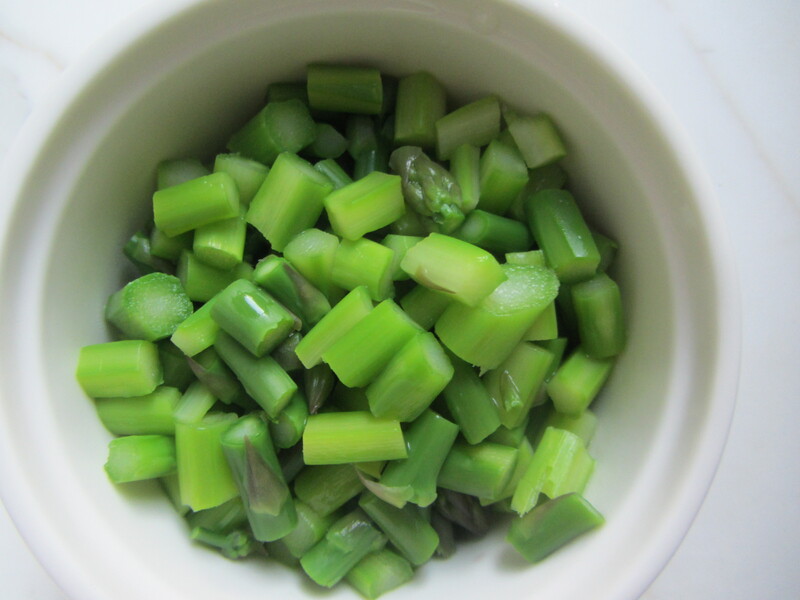 Fresh-cut asparagus taste different. They have an earthy, green, grassy taste that is almost like air. 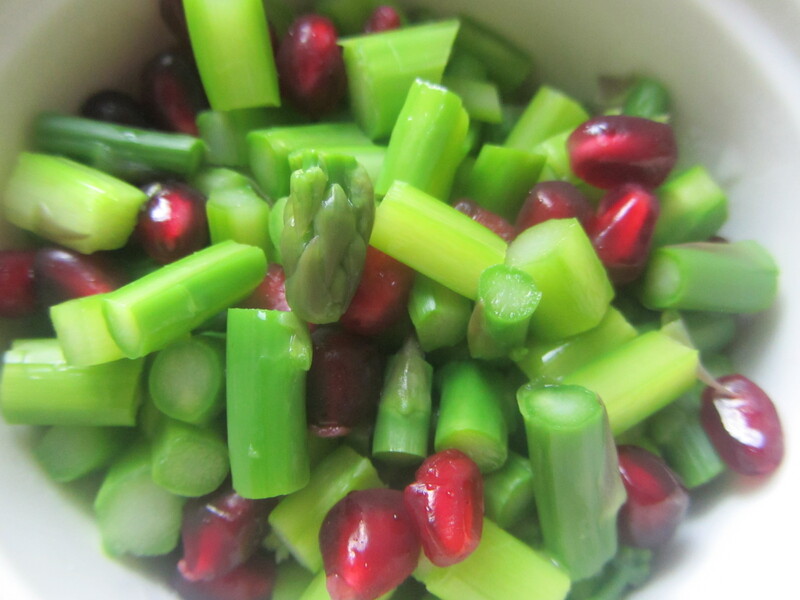 I simply chopped, blanched and garnished them with pomegranate seeds. Ahhh(sparagus). 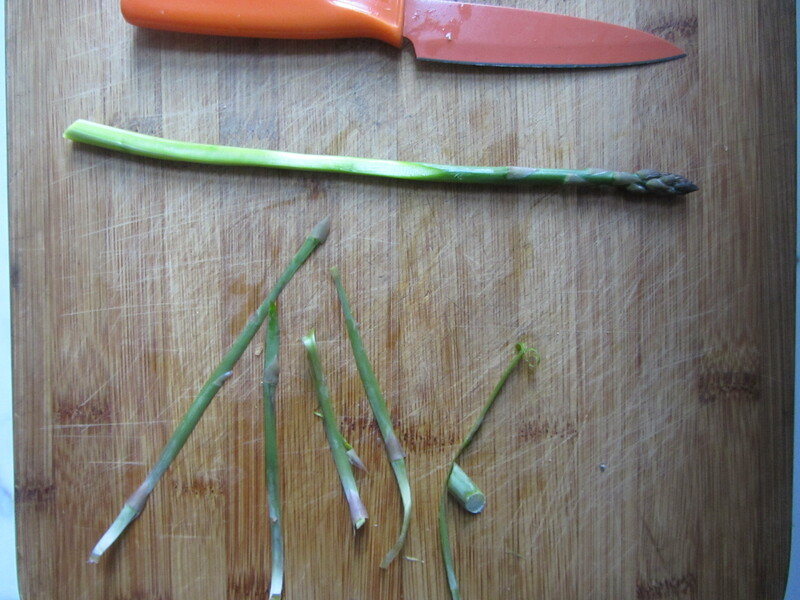 Process When picked at just the right moment (when they are perfectly ripe for picking) the asparagus skin is not too tough. However, I like to peel just the outermost layer of thin skin, which I did here. Use a paring knife to carefully remove it. Wash the asparagus well. 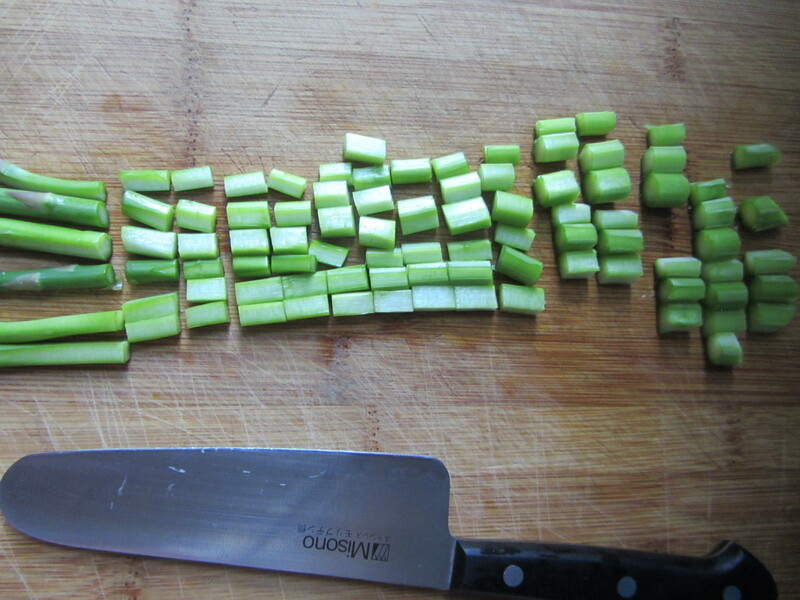 Chop them into tiny half-inch wide pieces and set aside. Bring a large, deep skillet of water to a boil. Add the pinch of salt. 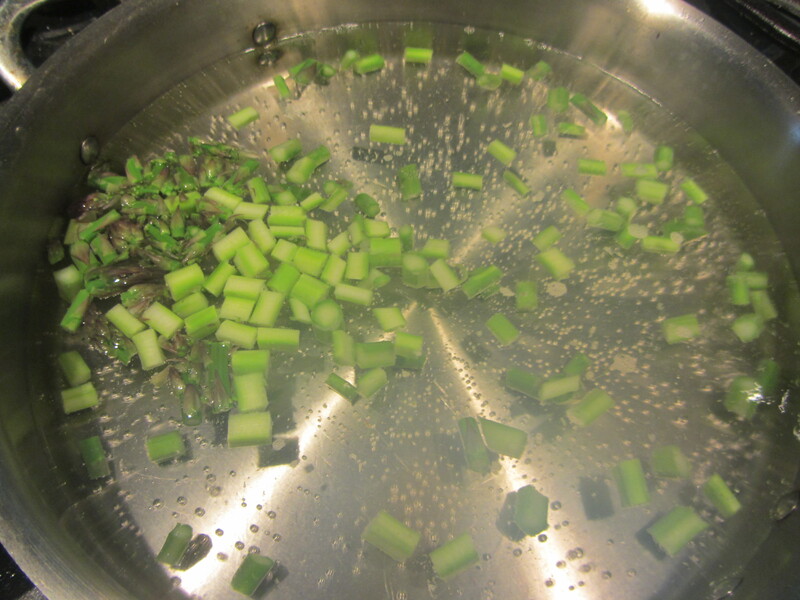 When the water is roiling boiling, add the cleaned, diced asparagus to the water. Remove the tiny pieces as they float to the surface of the water. Place them in individual bowls.